Consisting of five panels, the LIFX Tile kit is capable of producing 420 lumens of light per panel, 2,100 lumens in total, and is software dimmable from 1 percent to 100 percent. Able to emit cool and warm white light, the tiles can also be controlled to show a variety of different colors on command, with support for up to 16 million colors. Notably, each tile has 64 individual zones, which can each be assigned their own color and brightness. This can be used to create animated color-changing effects that move in waves across one or more of the panels together, giving a wider array of illumination options than other smartbulbs currently available on the market. Connecting to a local network using Wi-Fi, the tiles can be controlled using LIFX's iOS companion app, with it also including support for HomeKit, allowing for Siri voice commands and the iOS Home app to change the lighting in concert with other smartbulbs. Tile joins other bulbs in the range that recently received an update adding HomeKit compatibility. The smart home support also extends to Google Home, Amazon Alexa, and IFTTT, including voice support for the Google and Amazon platforms. Each tile measures 7.87 inches square, 1.37 inches thick, and weighs 1.31 pounds, with LIFX including 3D Command Hooks on the back to attach the tiles to surfaces. According to the support pages, LIFX Tile supports up to 5 tiles on a single controller, included in the kit, so those wanting to use more tiles will need to use additional controllers. 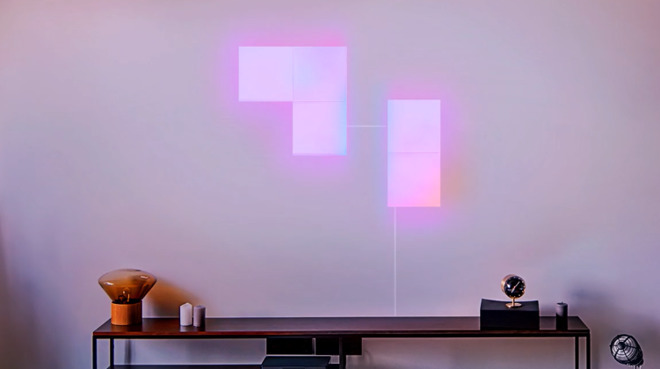 Available for pre-order with release in November, the LIFX Tile kit including five tiles and a power pack costs $249.99.